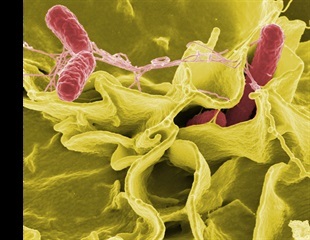 Australia has more salmonella outbreaks than any other country in the world, with the number of cases doubling over the last decade. Researchers presenting at ECCMID have warned that vector-borne diseases are on the rise and threatening to spread into many parts of Europe. New research presented at this year's European Congress of Clinical Microbiology & Infectious Diseases in Amsterdam, Netherlands shows that petting zoos can create a diverse reservoir of multidrug resistant bacteria, which could lead to highly virulent drug-resistant pathogens being passed on to visitors. Staying in a hotel or private accommodation is associated with contracting and carrying home drug-resistant bacteria in travelers to low and/or middle-income countries, according to new research being presented at this year's European Congress of Clinical Microbiology & Infectious Diseases in Amsterdam, Netherlands (13-16 April). Healthcare workers on intensive care units are regularly missing opportunities to clean their hands during the care of patients, despite its critical importance for infection control, according to new research being presented at this year's European Congress of Clinical Microbiology & Infectious Diseases in Amsterdam, Netherlands (13-16 April). A study by the University of Southampton shows that several low-and middle-income countries, especially in Africa, need more effective child vaccination strategies to eliminate the threat from vaccine-preventable diseases. Researchers have provided the strongest evidence to date that a bacterium involved in periodontitis contributes to the development of Alzheimer’s disease, rheumatoid arthritis and aspiration pneumonia. This week, publication of a special issue on tuberculosis begins in PLOS Medicine, advised by guest editors Richard Chaisson of Johns Hopkins University, Claudia Denkinger of the University of Heidelberg, and Mark Hatherill of the South African Tuberculosis Vaccine Institute. More than 125 million people worldwide wear contact lenses, and while many are exposed to relatively common bacteria through their contact lenses, not all contract an eye infection. More than 113 million people across 53 countries experienced acute hunger requiring urgent food, nutrition and livelihoods assistance in 2018, according to a new report published today in Brussels. There has been a Salmonella outbreak across states in the United States and federal health officials have found that pet hedgehogs could be linked to some of these cases. Chronic kidney disease of undetermined causes, initially reported among agricultural communities in Central America and Sri Lanka, is also present in India, particularly in Southern rural areas, and could be common in other tropical and subtropical rural settings. Microbes colonize all body surfaces and help to balance the immune system. In newborn infants, gut microbiota is first conditioned by breast milk components. The presence of oral bacteria in so-called cystic pancreatic tumours is associated with the severity of the tumour, a study by researchers at Karolinska Institutet in Sweden published in the journal Gut reports. It is hoped that the results can help to improve diagnosis and treatment of pancreatic cancer.